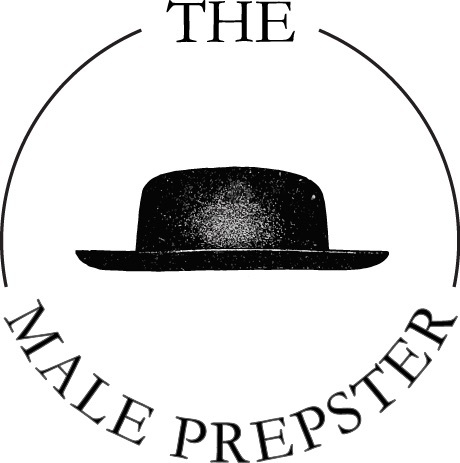 Here is Part II of trends I saw during mens fashion week in London, Paris and Milan. Wearing denim on denim is a popular trend this season and is going to be next spring as well. 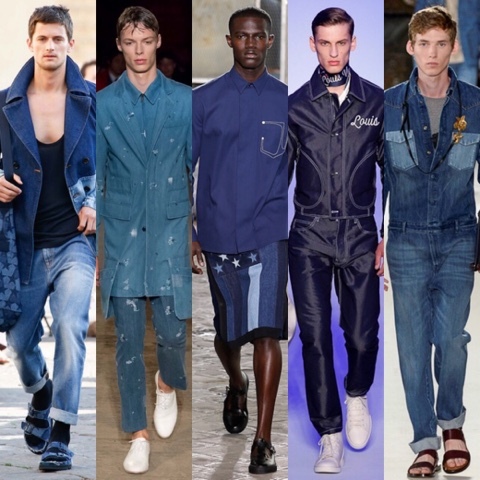 Some designers kept the denim basic while others chose their denim to have different washes or embellished some time of print or embroidery to them. 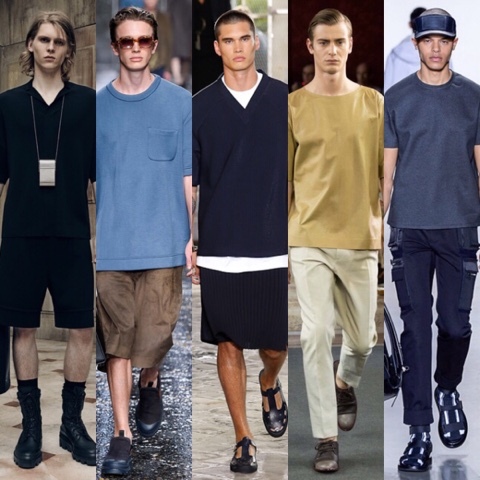 A big trend right now is wearing the longer hemmed t-shirts. But for next spring instead of longer t's its going to be all about the 'boxy t'. They came in all different colors and fabrics such as nylon, leather, and sweat shirt material. Most designers paired them with shorts or slim fashion pants. 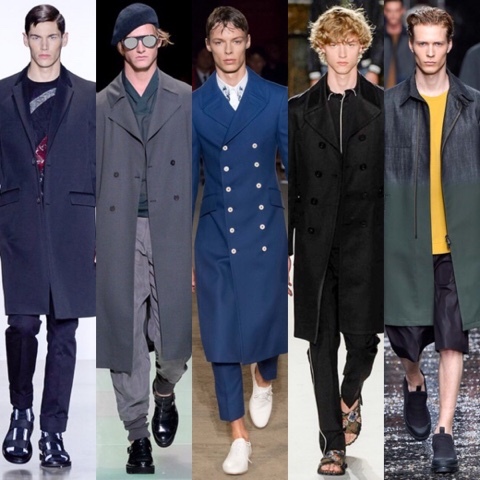 Basically every designer was showing long coats and top coats, which hearing that makes most people think of winter. The fabrication is what makes these coats fit for summer. Made of linen cotton blends, nylon, and merino wool these coats are cool and fashionable for those chilly spring night out on the town. 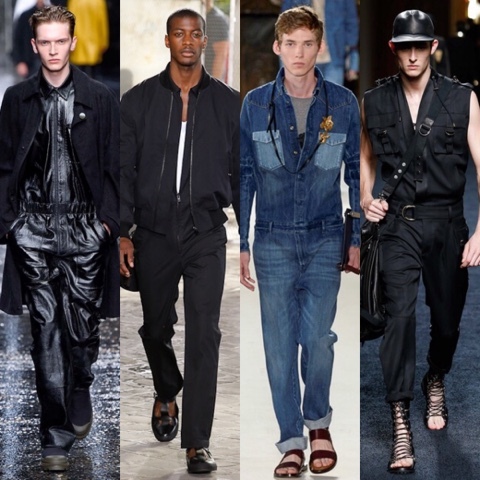 A new trend I like is the jumpsuit, which I feel is replacing the overalls we saw for summer 2015. They took the race car driver jumpsuit and made it feel more luxurious using leather, nylon, denim, and heavy satin. Designers also added pockets, belts and unconventional shoes to help style these jumpsuits. A lot of designers were showing head to toe printed looks. 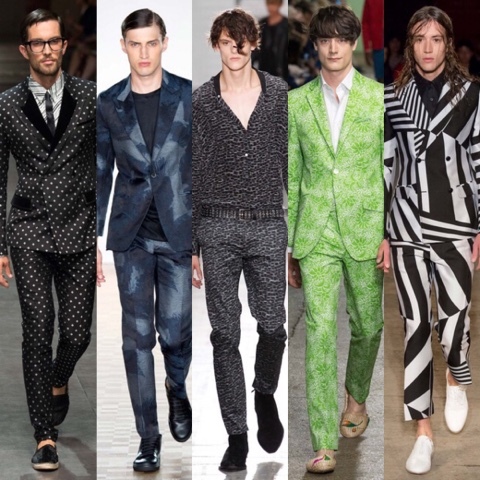 Many chose to make printed suits with the jackets and pants in the same print. Some showed bold in your face prints and other chose more subtle prints. I like them, but only for certain special occasions.